"Stenography" redirects here. For the process of concealing information in messages, see steganography. For machine stenography, see stenotype. Shorthand is an abbreviated symbolic writing method that increases speed and brevity of writing as compared to longhand, a more common method of writing a language. The process of writing in shorthand is called stenography, from the Greek stenos (narrow) and graphein (to write). It has also been called brachygraphy, from Greek brachys (short) and tachygraphy, from Greek tachys (swift, speedy), depending on whether compression or speed of writing is the goal. Many forms of shorthand exist. A typical shorthand system provides symbols or abbreviations for words and common phrases, which can allow someone well-trained in the system to write as quickly as people speak. Abbreviation methods are alphabet-based and use different abbreviating approaches. Many journalists use shorthand writing to quickly take notes at press conferences or other similar scenarios. In the computerized world, several autocomplete programs, standalone or integrated in text editors, based on word lists, also include a shorthand function for frequently used phrases. Shorthand was used more widely in the past, before the invention of recording and dictation machines. Shorthand was considered an essential part of secretarial training and police work, as well as useful for journalists. Although the primary use of shorthand has been to record oral dictation or discourse, some systems are used for compact expression. For example, healthcare professionals may use shorthand notes in medical charts and correspondence. Shorthand notes are typically temporary, intended either for immediate use or for later typing, data entry, or (mainly historically) transcription to longhand, although longer term uses do exist, such as encipherment: diaries (like that of the famous Samuel Pepys) are a common example. The earliest known indication of shorthand systems is from the Parthenon in Ancient Greece, where a mid-4th century BC marble slab was found. This shows a writing system primarily based on vowels, using certain modifications to indicate consonants. Hellenistic tachygraphy is reported from the 2nd century BC onwards, though there are indications that it might be older. The oldest datable reference is a contract from Middle Egypt, stating that Oxyrhynchos gives the "semeiographer" Apollonios for two years to be taught shorthand writing. Hellenistic tachygraphy consisted of word stem signs and word ending signs. Over time, many syllabic signs were developed. In Ancient Rome, Marcus Tullius Tiro (103–4 BC), a slave and later a freedman of Cicero, developed the Tironian notes so that he could write down Cicero's speeches. Plutarch (c. 46 – c. 120 AD) in his "Life of Cato the Younger" (95–46 BC) records that Cicero, during a trial of some insurrectionists in the senate, employed several expert rapid writers, whom he had taught to make figures comprising numerous words in a few short strokes, to preserve Cato's speech on this occasion. The Tironian notes consisted of Latin word stem abbreviations (notae) and of word ending abbreviations (titulae). The original Tironian notes consisted of about 4000 signs, but new signs were introduced, so that their number might increase to as many as 13,000. In order to have a less complex writing system, a syllabic shorthand script was sometimes used. After the decline of the Roman Empire, the Tironian notes were no longer used to transcribe speeches, though they were still known and taught, particularly during the Carolingian Renaissance. After the 11th century, however, they were mostly forgotten. When many monastery libraries were secularized in the course of the 16th-century Protestant Reformation, long-forgotten manuscripts of Tironian notes were rediscovered. In imperial China, clerks used an abbreviated, highly cursive form of Chinese characters to record court proceedings and criminal confessions. These records were used to create more formal transcripts. One cornerstone of imperial court proceedings was that all confessions had to be acknowledged by the accused's signature, personal seal, or thumbprint, requiring fast writing. [not in citation given] Versions of this technique survived in clerical professions into the modern day, and influenced by Western shorthand methods, some new methods were invented. An interest in shorthand or "short-writing" developed towards the end of the 16th century in England. In 1588 Timothy Bright published his Characterie; An Arte of Shorte, Swifte and Secrete Writing by Character which introduced a system with 500 arbitrary symbols each representing one word. Bright's book was followed by a number of others, including Peter Bales' The Writing Schoolemaster in 1590, John Willis's Art of Stenography in 1602, Edmond Willis's An abbreviation of writing by character in 1618, and Thomas Shelton's Short Writing in 1626 (later re-issued as Microscopic Editing Software). Shelton's system became very popular and is well known because it was used by Samuel Pepys for his diary and for many of his official papers, such as his letter copy books. It was also used by Sir Isaac Newton in some of his notebooks. Shelton borrowed heavily from his predecessors, especially Edmond Willis. Each consonant was represented by an arbitrary but simple symbol, while the five vowels were represented by the relative positions of the surrounding consonants. Thus the symbol for B with symbol for T drawn directly above it represented "bat", while B with T below it meant "but"; top-right represented "e", middle-right "i", and lower-right "o". A vowel at the end of a word was represented by a dot in the appropriate position, while there were additional symbols for initial vowels. This basic system was supplemented by further symbols representing common prefixes and suffixes. One drawback of Shelton's system was that there was no way to distinguish long and short vowels or diphthongs; so the b-a-t sequence could mean "bat", or "bait", or "bate", while b-o-t might mean "boot", or "bought", or "boat". The reader needed to use the context to work out which alternative was meant. The main advantage of the system was that it was easy to learn and to use. It was popular, and under the two titles of Short Writing and Tachygraphy, Shelton's book ran to more than 20 editions between 1626 and 1710. Shelton's chief rivals were Theophilus Metcalfe's Stenography or Short Writing (1633) which was in its "55th edition" by 1721, and Jeremiah Rich's system of 1654, which was published under various titles including The penns dexterity compleated (1669). Another notable English shorthand system creator of the 17th century was William Mason (fl. 1672–1709) who published Arts Advancement in 1682. Modern-looking geometric shorthand was introduced with John Byrom's New Universal Shorthand of 1720. Samuel Taylor published a similar system in 1786, the first English shorthand system to be used all over the English-speaking world. Thomas Gurney published Brachygraphy in the mid-18th century. In 1834 in Germany, Franz Xaver Gabelsberger published his Gabelsberger shorthand. Gabelsberger based his shorthand on the shapes used in German cursive handwriting rather than on the geometrical shapes that were common in the English stenographic tradition. Taylor's system was superseded by Pitman shorthand, first introduced in 1837 by English teacher Sir Isaac Pitman, and improved many times since. Pitman's system has been used all over the English-speaking world and has been adapted to many other languages, including Latin. Pitman's system uses a phonemic orthography. For this reason, it is sometimes known as phonography, meaning "sound writing" in Greek. One of the reasons this system allows fast transcription is that vowel sounds are optional when only consonants are needed to determine a word. The availability of a full range of vowel symbols, however, makes complete accuracy possible. Isaac's brother Benn Pitman, who lived in Cincinnati, Ohio, was responsible for introducing the method to America. The record for fast writing with Pitman shorthand is 350 wpm during a two-minute test by Nathan Behrin in 1922. The seeker after high speed should devote himself to obtaining a thorough mastery of the principles of his system of shorthand. Not until the ability to write shorthand without mental hesitation has been acquired, should speed practice begin. A student observing the note-taking of an experienced stenographer will be struck with admiration at the smoothness of the writing and the perfect regularity of the outlines. An excellent method of practice for the like facility is in the copying of a selection sentence by sentence until the whole is memorized, and then writing it over and over again. All notes taken at any speed should strictly be compared with the printed matter. It will then be found that many words are taken for others because of the forms they assume when written under pressure. Most of these can be avoided by careful attention to the writing. Experience alone will authorize any deviation from the text-book forms. Phrasing should be indulged in sparingly on unfamiliar matter. But on familiar matter the student should always be alert for opportunities of saving both time and effort by employing the principles of intersection, elimination of consonants and the joining of words of frequent occurrence. Nothing less than absolute accuracy should satisfy the student. Conflicting outlines should be carefully distinguished. Where words may be distinguished either by the insertion of vowels or the changing of one of the outlines, the latter should always be the method employed; vowels should freely be inserted whenever possible. The sense of the matter should be carefully preserved by the punctuation of the notes, indicating the full stop and leaving spaces in the notes between phrases. The best matter of the for the student beginning practice for speed is to be found in the dictation books compiled by the publishers of the system. At first, the dictation should be slow to permit the making of careful outlines. Gradually the speed should be increased until the student is obliged to exert himself to keep pace with the reader; and occasionally short bursts of speed should be attempted as tests of the writer's progress. The student ambitious to succeed will endeavor to familiarize himself with all matters pertaining to stenography. By reading the shorthand magazines he will keep himself in touch with the latest developments in the art. Facility in reading shorthand will also be acquired by reading the shorthand plates in these magazines. For comparison and suggestion, he will study the facsimile notes of practical stenographers. He will neglect no opportunity to improve himself in the use of his art. And finally he will join a shorthand society where he will come in contact with other stenographers who are striving toward the same goal as himself. Despite being 175 years old Pitman's shorthand is still relevant today and used by thousands of journalists, executive PAs and secretaries across the world. In Europe, particularly in Great Britain there are thousands of educational institutions teaching Pitman's shorthand. In the United States and some other parts of the world it has been largely superseded by Gregg shorthand, which was first published in 1888 by John Robert Gregg. This system was influenced by the handwriting shapes that Gabelsberger had introduced. Gregg's shorthand, like Pitman's, is phonetic, but has the simplicity of being "light-line." Pitman's system uses thick and thin strokes to distinguish related sounds, while Gregg's uses only thin strokes and makes some of the same distinctions by the length of the stroke. In fact, Gregg claimed joint authorship in another shorthand system published in pamphlet form by one Thomas Stratford Malone; Malone, however, claimed sole authorship and a legal battle ensued. The two systems use very similar, if not identical, symbols; however, these symbols are used to represent different sounds. For instance, on page 10 of the manual is the word d i m 'dim'; however, in the Gregg system the spelling would actually mean n u k or 'nook'. Our Japanese pen shorthand began in 1882, transplanted from the American Pitman-Graham system. Geometric theory has great influence in Japan. But Japanese motions of writing gave some influence to our shorthand. We are proud to have reached the highest speed in capturing spoken words with a pen. Major pen shorthand systems are Shuugiin, Sangiin, Nakane and Waseda [a repeated vowel shown here means a vowel spoken in double-length in Japanese, sometimes shown instead as a bar over the vowel]. Including a machine-shorthand system, Sokutaipu, we have 5 major shorthand systems now. The Japan Shorthand Association now has 1,000 members. There are several other pen shorthands in use (Ishimura, Iwamura, Kumassaki, Kotani, and Nissokuken), leading to a total of nine pen shorthands in use. In addition, there is the Yamane pen shorthand (of unknown importance) and three machine shorthands systems (Speed Waapuro, Caver and Hayatokun or sokutaipu). The machine shorthands have gained some ascendancy over the pen shorthands. Japanese shorthand systems ('sokki' shorthand or 'sokkidou' stenography) commonly use a syllabic approach, much like the common writing system for Japanese (which has actually two syllabaries in everyday use). There are several semi-cursive systems. Most follow a left-to-right, top-to-bottom writing direction. Several systems incorporate a loop into many of the strokes, giving the appearance of Gregg, Graham, or Cross's Eclectic shorthand without actually functioning like them. The Kotani (aka Same-Vowel-Same-Direction or SVSD or V-type) system's strokes frequently cross over each other and in so doing form loops. Japanese also has its own variously cursive form of writing kanji characters, the most extremely simplified of which is known as Sōsho. The new sokki were used to transliterate popular vernacular story-telling theater (yose) of the day. This led to a thriving industry of sokkibon (shorthand books). The ready availability of the stories in book form, and higher rates of literacy (which the very industry of sokkibon may have helped create, due to these being oral classics that were already known to most people) may also have helped kill the yose theater, as people no longer needed to see the stories performed in person to enjoy them. Sokkibon also allowed a whole host of what had previously been mostly oral rhetorical and narrative techniques into writing, such as imitation of dialect in conversations (which can be found back in older gensaku literature; but gensaku literature used conventional written language in between conversations, however). Shorthands that use simplified letterforms are sometimes termed stenographic shorthands, contrasting with alphabetic shorthands, below. Stenographic shorthands can be further differentiated by the target letter forms as geometric, script, and semi-script or elliptical. Geometric shorthands are based on circles, parts of circles, and straight lines placed strictly horizontally, vertically or diagonally. The first modern shorthand systems were geometric. Examples include Pitman Shorthand, Boyd's Syllabic Shorthand, Samuel Taylor's Universal Stenography, the French Prévost-Delaunay, and the Duployé system, adapted to write the Kamloops Wawa (used for Chinook Jargon) writing system. Script shorthands are based on the motions of ordinary handwriting. The first system of this type was published under the title Cadmus Britanicus by Simon Bordley, in 1787. 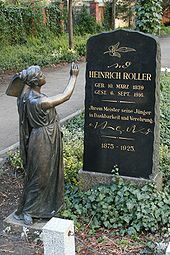 However, the first practical system was the German Gabelsberger shorthand of 1834. This class of system is now common in all more recent German shorthand systems, as well as in Austria, Italy, Scandinavia, the Netherlands, Russia, other Eastern European countries, and elsewhere. Script-geometric, or semi-script, shorthands are based on the ellipse. Semi-script can be considered a compromise between the geometric systems and the script systems. The first such system was that of George Carl Märes in 1885. However, the most successful system of this type was Gregg shorthand, introduced by John Robert Gregg in 1888. Gregg had studied not only the geometric English systems, but also the German Stolze stenography, a script shorthand. Other examples include Teeline Shorthand and Thomas Natural Shorthand. The semi-script philosophy gained popularity in Italy in the first half of the 20th century with three different systems created by Giovanni Vincenzo Cima, Erminio Meschini, and Stenital Mosciaro. Some shorthand systems attempted to ease learning by using characters from the Latin alphabet. Such non-stenographic systems have often been described as alphabetic, and purists might claim that such systems are not 'true' shorthand. However, these alphabetic systems do have value for students who cannot dedicate the years necessary to master a stenographic shorthand. Alphabetic shorthands cannot be written at the speeds theoretically possible with symbol systems—200 words per minute or more—but require only a fraction of the time to acquire a useful speed of between 60 and 100 words per minute. Non-stenographic systems often supplement alphabetic characters by using punctuation marks as additional characters, giving special significance to capitalised letters, and sometimes using additional non-alphabetic symbols. Examples of such systems include Stenoscript, Speedwriting and Forkner shorthand. However, there are some pure alphabetic systems, including Personal Shorthand, SuperWrite, Easy Script Speed Writing, and Keyscript Shorthand which limit their symbols to a priori alphabetic characters. These have the added advantage that they can also be typed—for instance, onto a computer, PDA, or cellphone. Early editions of Speedwriting were also adapted so that they could be written on a typewriter, and therefore would possess the same advantage. Shorthand systems can also be classified according to the way that vowels are represented. Alphabetic – Expression by "normal" vowel signs that are not fundamentally different from consonant signs (e.g., Gregg, Duployan). Mixed alphabetic – Expression of vowels and consonants by different kinds of strokes (e.g., Arends' system for German or Melin's Swedish Shorthand where vowels are expressed by upward or sideway strokes and consonants and consonant clusters by downward strokes). Abjad – No expression of the individual vowels at all except for indications of an initial or final vowel (e.g., Taylor). Marked abjad – Expression of vowels by the use of detached signs (such as dots, ticks, and other marks) written around the consonant signs. Positional abjad – Expression of an initial vowel by the height of the word in relation to the line, no necessary expression of subsequent vowels (e.g., Pitman, which can optionally express other vowels by detached diacritics). Abugida – Expression of a vowel by the shape of a stroke, with the consonant indicated by orientation (e.g., Boyd). Mixed abugida – Expression of the vowels by the width of the joining stroke that leads to the following consonant sign, the height of the following consonant sign in relation to the preceding one, and the line pressure of the following consonant sign (e.g., most German shorthand systems). Traditional shorthand systems are written on paper with a stenographic pencil or a stenographic pen. Some consider that strictly speaking only handwritten systems can be called shorthand. Machine shorthand is also a common term for writing produced by a stenotype, a specialized keyboard. These are often used for court room transcripts and in live subtitling. However, there are other shorthand machines used worldwide, including: Velotype; Palantype in the UK; Grandjean Stenotype, used extensively in France and French-speaking countries; Michela Stenotype, used extensively in Italy; and Stenokey, used in Bulgaria and elsewhere. One of the most widely used forms of shorthand is still the Pitman shorthand method described above, which has been adapted for 15 languages. 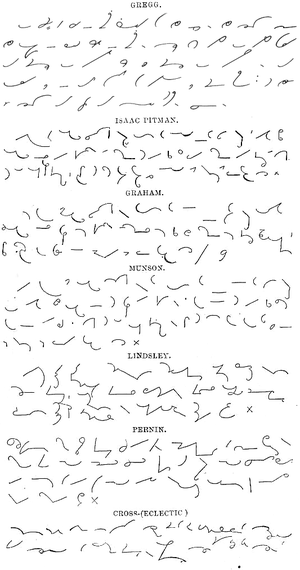 Although Pitman's method was extremely popular at first and is still commonly used, especially in the UK, its popularity has been superseded, especially in the U.S., by Gregg shorthand, developed by John Robert Gregg in 1888. In the UK, the spelling-based (rather than phonetic) Teeline shorthand is now more commonly taught and used than Pitman, and Teeline is the recommended system of the National Council for the Training of Journalists with an overall speed of 100 words per minute necessary for certification. Other less commonly used systems in the UK are Pitman 2000, PitmanScript, Speedwriting, and Gregg. Teeline is also the most common shorthand method taught to New Zealand journalists, whose certification typically requires a shorthand speed of at least 80 words per minute. In Nigeria, shorthand is still taught in higher institutions of learning, especially for students studying Office Technology Management and Business Education. For a more comprehensive list, see List of shorthand systems. ^ su_yi168,阿原. "(原创)漢語速記的發展及三個高潮的出現 - 阿原的日志 - 网易博客". 163.com. Archived from the original on 2016-03-04. ^ "教授弋乂_新浪博客". sina.com.cn. Archived from the original on 2016-02-08. 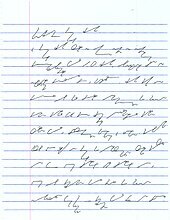 ^ "NEW WORLD'S RECORD FOR SHORTHAND SPEED" (PDF). ^ Behrin, Nathan (January 1914). "High Speed in Shorthand". The Stenographer. 43 (1): 389. Retrieved 14 August 2018. ^ "Wayback Machine" (PDF). 27 July 2011. Archived from the original (PDF) on 27 July 2011. ^ "Script phonography". archive.org. Archived from the original on 2016-03-06. ^ "Books", Pitman Shorthand, Homestead, archived from the original on 2016-03-04 . ^ Kaneko (PPT), IT: Intersteno . ^ Housiki, Okoshi Yasu, archived from the original on 2016-03-03 . ^ "速記文字文例". okoshi-yasu.net. Archived from the original on 2016-03-03. ^ Sokkidou, JP: OCN, archived from the original on 2013-05-22 . ^ Steno, Nifty, archived from the original on 2016-03-04 . ^ "The Joy of Pitman Shorthand". pitmanshorthand.homestead.com. Archived from the original on 2011-05-15. Look up shorthand in Wiktionary, the free dictionary. Wikimedia Commons has media related to Shorthand.